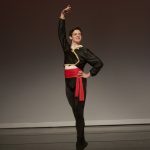 Keshet Dance offers Pre-Professional Dance Training in a variety of programs designed to develop well-rounded dancers. Experienced pre-professional faculty offer a diverse curriculum of contemporary dance, classical ballet, jazz, and hip hop. With the discipline and confidence cultivated through Keshet Pre-Professional Dance Training, students are equipped to pursue careers as professional dancers, dance in higher education, or find success in other fields. For the teen who enjoys “behind-the-scenes”, Keshet offers Technical Theater training. KT2 – Keshet Technical Theater is open to ages 12-18 years. Learn more by clicking here. * A Parent/Guardian is required to attend with each interested dancer under 18 years old. Keshet Dance’s JUMP Program is specifically designed to meet the needs of dancers ages 6 to 18, preparing them for participation in Keshet’s Pre-Professional Program. JUMP dancers choose their own flexible schedule, choosing to study contemporary dance, classical ballet, jazz, and/or hip hop in a nurturing class environment focused on proper alignment and technique. Registration for the Spring Semester of JUMP will begin on December 3, 2019. JUMP students may enter the program at the beginning of the Fall or Spring semester. No audition is required. 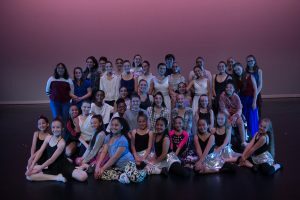 As part of JUMP, students participate in a minimum of three classes weekly and may choose to perform in Keshet Dance Fall and Spring productions. Non-competitive scholarships and work-study are available. If you have questions about the JUMP program, please contact Sarah Gonzales (Sarah@KeshetArts.org) or call 505-224-9808. 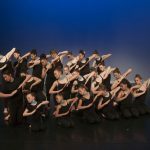 Keshet’s Pre-Professional Program (KP3) provides a comprehensive training curriculum for dancers ages 8 to 18 who are committed to intensive dance training. The KP3 program combines rigorous training in modern dance, ballet, jazz, and hip hop to create well-rounded and versatile dancers. KP3 Auditions only take place in the fall. Our next round of auditions will take place on Monday, August 5, 2019; 4:30 – 8:30pm. KP3 students register for the full school year and should be prepared to commit themselves for this entire period of time. Participation in the KP3 program requires a serious commitment from both the student and his or her family. As part of KP3, students participate in a minimum of six classes weekly and are required to perform in Keshet Dance Fall and Spring productions. KP3 dancers choose their own flexible schedule, studying contemporary dance, classical ballet, pointe, jazz, and hip hop in a nurturing class environment focused on proper alignment and technique. KP3 dress code is designed to encourage unity, discipline, and improved concentration among our students. All KP3 students are required to attend classes in dress code indicated in the KP3 Handbook. Non-competitive scholarships and work-study are available. If you have questions about the KP3 program, please contact Sarah Gonzales (Sarah@KeshetArts.org) or call 505-224-9808. ABOVE: The most common feedback we receive from KP3 (Keshet’s Pre-Professional Program) students and parents is how much they appreciate the exceptional teaching faculty. Take a sneak peek at a few of those excellent dance instructors.